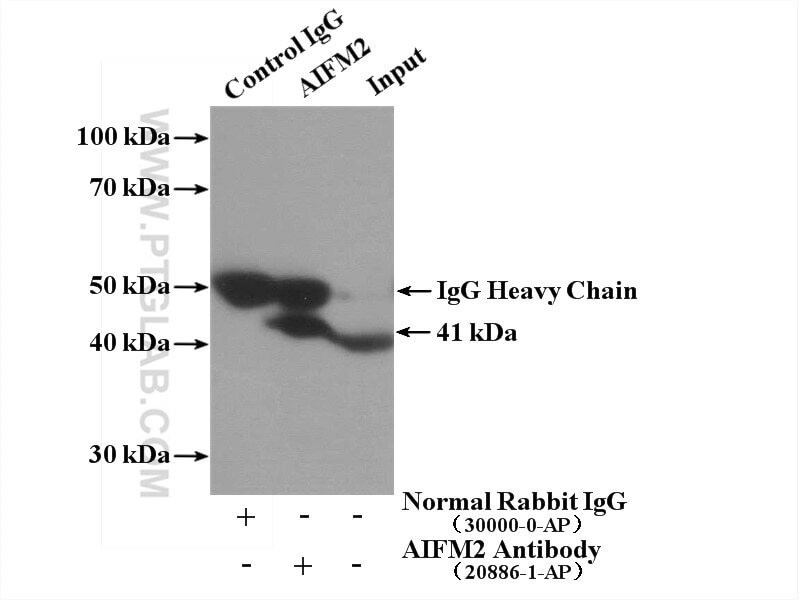 IP Result of anti-AIFM2 (IP:20886-1-AP, 4ug; Detection:20886-1-AP 1:300) with L02 cells lysate 1800ug. 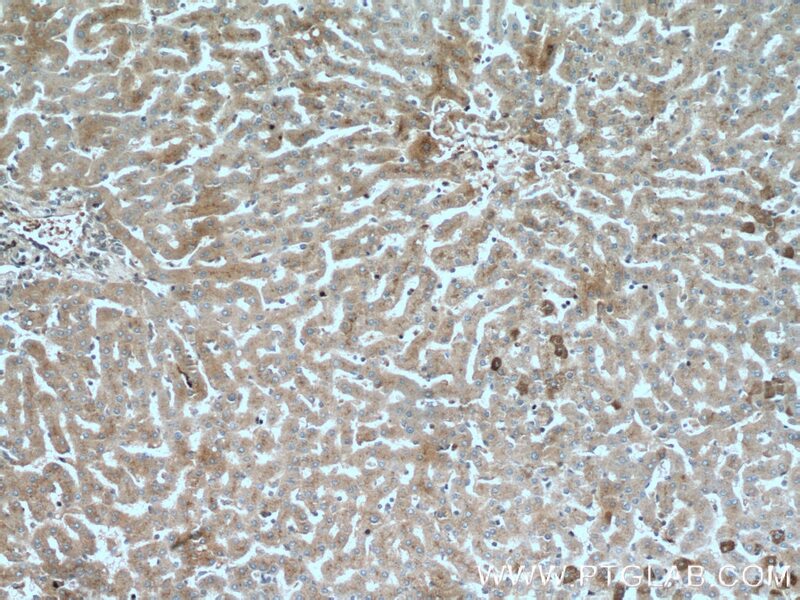 Immunohistochemical analysis of paraffin-embedded human liver tissue slide using 20886-1-AP( AIFM2 Antibody) at dilution of 1:200 (under 10x lens). 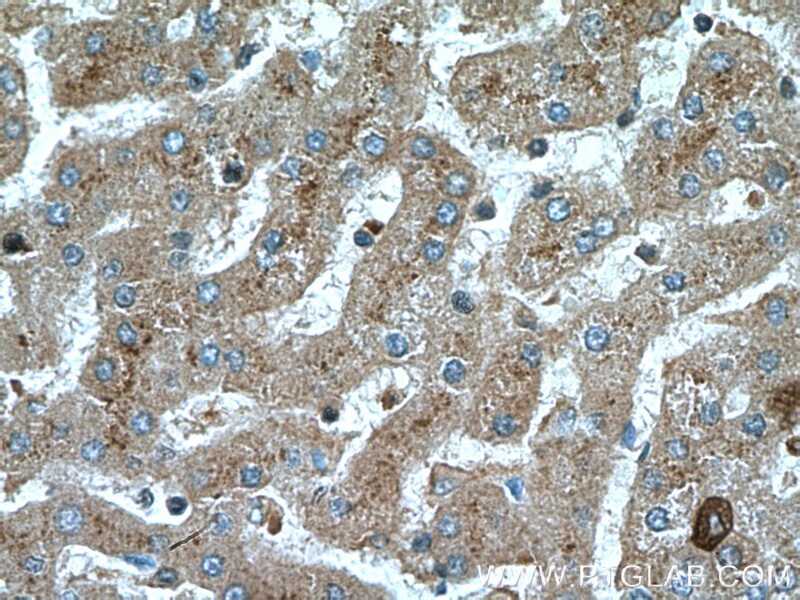 Immunohistochemical analysis of paraffin-embedded human liver tissue slide using 20886-1-AP( AIFM2 Antibody) at dilution of 1:200 (under 40x lens). The human AIFM2 protein (formerly known as AMID) is an apoptosis associated flavoprotein with a 6-hydroxy FAD cofactor. AIFM2 is a NAD(P)H-binding oxidoreductase with some sequence similarities to A1FM1 (formerly known as AIF, Apoptosis Inducing Factor), a mitochondrion-associated enzyme which relocates to the cell nucleus during apoptosis and is considered to be a key player in the progression of cell death.